In an era where studying abroad is on the rise amongst teenagers and young adults, so is engagement in social networking sites and apps. Our social media team has a unique task; unlike those before us, we have the opportunity to document our travels: our friendships, our adventures, and our company culture through various outlets of social media. We get to show prospective students what they can expect on our programs and show past students what we are doing today, rather than just tell them. It’s an idiosyncratic component of our generation that we maximize through the help of a really talented and passionate team. The most popular of these networks? With over 300 million active monthly users: Instagram. Meet Hannah, the girl behind the clever captions. 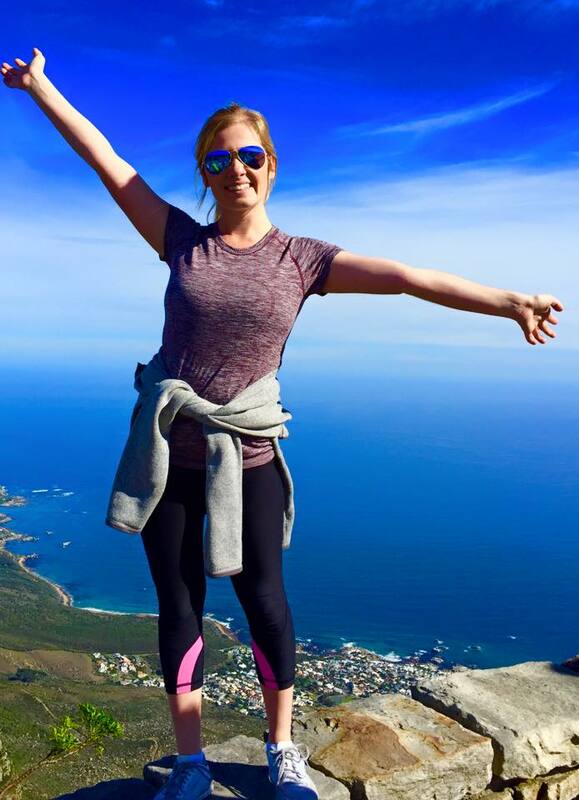 Hannah Fierle, a junior at the University of Miami in Oxford, Ohio, joined us on LEAD Cape Town 2015. With a love for social media and a calling to stay involved with the program, we were enthused to have this comparative media studies and political science double major join our team as the Instagram Intern for the 2015-2016 school year. Read below to get to know Hannah, and be sure to follow our Instagram account: @LeadAbroad. Hannah: Over the five weeks of my trip to Cape Town, I was able to feel the genuine love the LeadAbroad family has for one another; the bonds made with through this company are truly remarkable. Within the organization, there are so many overlapping relationships and connections– I met other students at Miami through LeadAbroad that I never would have met otherwise. I knew I wanted to stay a part of LeadAbroad because of all the amazing people and mentors I’ve made through the organization. Hannah: I love getting to see all the pictures from other trips. It’s always awesome to see people tag their friends in comments after I post a picture– I love seeing all the “Miss this so much!” and “No, way you two know each other? !” comments. LeadAbroad: What do you hope to achieve through the Instagram photos you will post this year for LeadAbroad? Hannah: I hope to provide an outlet for students who’ve already been on trips to reminisce on their memories, but mostly I hope to engage incoming travelers by getting them pumped up for their adventure through vibrant and exciting photos. Hannah: My best memories were all the days that the friends I made on the trip and I wandered into an adventure we didn’t expect. There were so many days we set out with a plan, only to discover something new and exciting that we hadn’t anticipated. Every day in Cape Town was a new adventure. LeadAbroad: What got you interested in photos/social media? Tell us about your experience in these areas. Hannah: I’ve always been a social media junkie, but my interest in photography came from all the beautiful scenery in South Africa. After returning from Cape Town, I was shocked by how many people had been “following” my trip. When I ran into people from high school that I wasn’t close friends with, they still seemed to know all about my adventure and asked about my pictures with elephants or bungee jumping and all my other experiences abroad. It was a great feeling to know that others were so interested in my trip and that my photos had been impactful. I hope by sharing others’ photos from their trips, I’m giving them the same experience. Hannah: Stay connected with friends from your trip! It’s so cool to have so many friends all around the country after LeadAbroad. I feel like I could be in virtually any city and know someone from my trip. That includes staff too! Hannah: Work for a PR firm in a big city and continue to explore my passion for travel. Hannah: There’s not a single person I’ve met through LeadAbroad who wasn’t absolutely in love with their experience. I love that they want to give others the same opportunity for a life-changing and transformative adventure. All of the staff members and other interns are amazing people that come from diverse backgrounds, but we all share the same passion for travel and self-discovery. It’s a great group of people. With over 70% of Instagram users residing outside of the United States, who knows…maybe Hannah will be able to expand LeadAbroad’s audience into something even more amazing! With this generation, the possibilities are endless.